We’ve been in love with Partida Tequila since developing our first margaritas at Bone Garden Cantina back in 2008. We mixed a nice pour of Partida Blanco Tequila with fresh lime juice and a little agave nectar. Nine years later, this pure and simple Partida Margarita is still one of our best. Our customers agree too – it’s the most popular cocktail on our menu! But what makes Partida Tequila taste so special? It’s the modern precision that goes into its traditional approach to production. Partida believes in utilizing state-of-the-art equipment and science to create a clean flavor profile that emphasizes the spirit’s pure agave flavor. 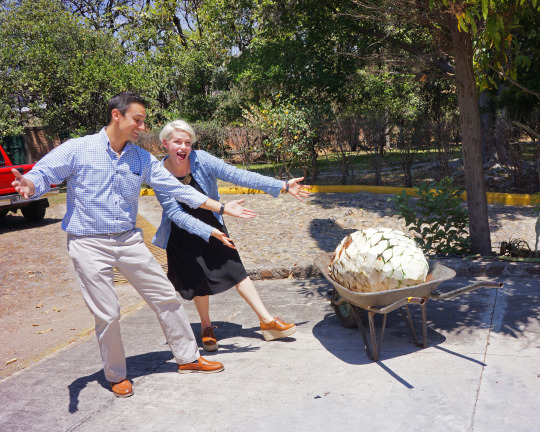 In March 2016, Partida Tequila asked Bone Garden to be their first invited guests to their distillery located in the heart of the valley in Jalisco, Mexico. We were honored! Our host José Valdez, the Master Distiller at Partida (and a former industrial engineer), was super fun to hang out with and he knows EVERYTHING about the tequila industry. During our three days together, we felt inspired by his passion – he’s been at the helm since Partida’s infancy in 2004 – and by the commitment of his whole team to craft one of the best-tasting tequilas in the world. Was it possible to love Partida even more than we already did? YES! And while sipping Partida with José at the distillery, enjoying the experience of drinking with a Master, we decided to partner on a unique barrel-aged tequila. 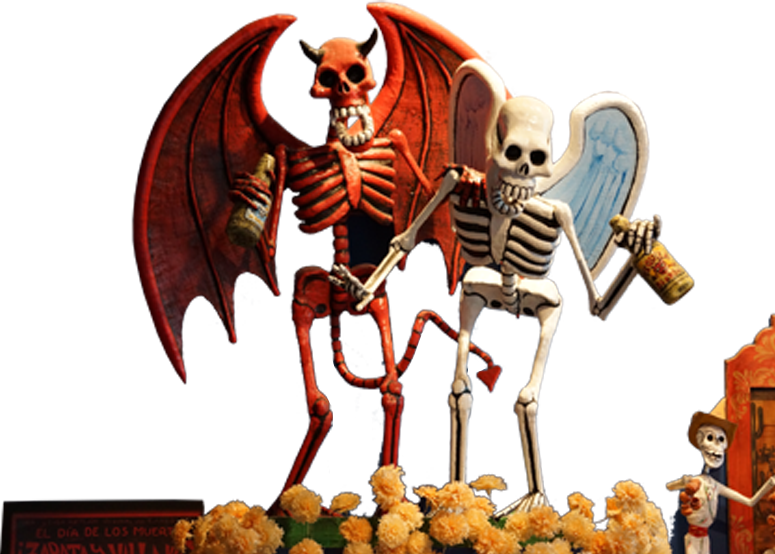 This tequila would be crafted exclusively for Bone Garden Cantina – a first for Partida and for us! And now the trip highlights! 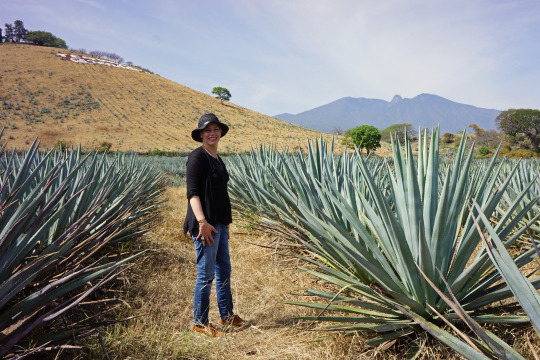 For fans of tequila, the most amazing part of any journey to Mexico is visiting the blue agave fields. All tequila is made from the native blue agave plant, which grows for six to twelve years, slowly maturing, until it is ready to flower and spread its seeds. The plant flowers only once in its lifetime, and then it dies. For Partida, the blue agave plant is harvested just before it flowers, at its peak maturity when it is the most ripe. 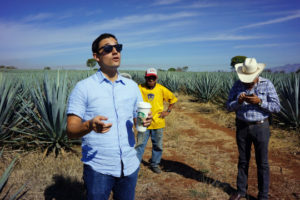 Partida selects blue agave plants from fields in an area called Amatitán, which is about eight miles from their distillery. Though blue agave plants grow throughout the Jalisco region, the reason Partida only uses agave sourced from Amatitán has to do with their company history. When Sofia Partida, the niece of a well-respected agave farmer, launched the tequila in 2004, she used her family’s agave fields and “hobby” distillery in Amatitán. 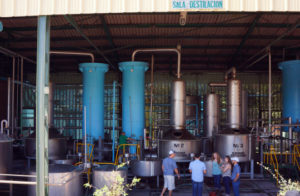 Six years later, Partida relocated to their current (much larger) distillery in the nearby town of Tequila. Still, they have remained committed to maintaining a flavor profile that is consistent with their original Amatitán bottling. During our visit, José and his team were in the process of selecting their blue agave plants for the next production run. So we tagged along to one of the fields in Amatitán at the base of Volcan de Tequila – a volcano that last erupted 200,000 years ago, creating the lava-rich soil in which the agave plants in this region thrive. Here, in the shadow of the mountain, we learned how the local agave farmers cultivate and harvest their blue agave. Experienced agave farmers, or Jimadors as they are often referred to in Mexico, are a marvel to watch because they make harvesting these 200-pound plants look easy. But this is tough, physically-demanding work that must be done by hand. To become efficient at it takes years of practice. They use a sharp blade called a “coa” to pry the prickly plants from the earth and then they cut off all the thick, sharp spines to reveal the “heart” or piña. There is an art and a science to harvesting the piña in a way that will produce the best-tasting tequila. 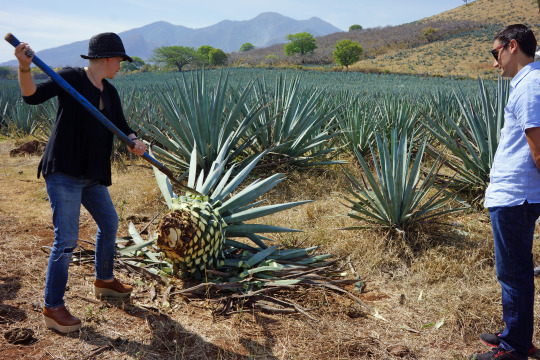 Learning how agave farmers harvest piñas in the field – it’s tough work! After spending the morning in the agave fields, soaking up the energy of the plants and the beauty of the rich agricultural land, we hopped into José’s pick-up truck and headed back to the town of Tequila. Tequila is a little western town of 40,000 inhabitants that is often described as quintessentially Mexican. So much so that Tequila is a designated “Pueblo Mágico” (Magical Town), promoted and protected by the Mexican government as a place of special heritage and history. Tequila’s narrow, cobblestone streets are filled with old-school Volkswagen bugs, food vendors pushing their carts to the plaza, kids in catholic-school uniforms walking hand-in-hand, street dogs of all shapes and sizes minding their own business as they roam freely about, and farmers on horseback heading to their fields – their cowboy hats shading them from the sun. Colorful billboards painted on the sides of modest plaster dwellings advertise the legendary tequila brands, like Cuervo, Sauza and Orendain, that have been produced here since the early 1800s. And no matter where you are in Tequila, all roads seem to lead to the iconic 18th-century stone church anchoring the town. 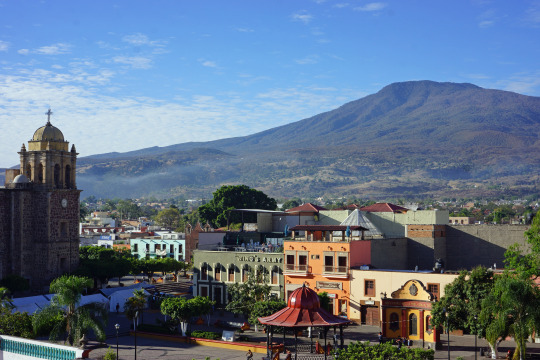 As we turn every corner, folks greet José – the area is filled with historic tequila distilleries, and the workers here form a friendly community. When we pull up to Partida’s distillery, José takes the last sip of his Starbucks coffee – an instant giveaway that he drove in this morning from Guadalajara, Mexico’s second-largest and very cosmopolitan city located 60 miles west. You don’t find Starbucks in Tequila. Despite the fact that some of the world’s most profitable and expensive spirits are crafted here, this working town is not at all commercialized, nor is it overrun with gringos screaming “shots! shots! shots!” In fact, each time we visit it is a rarity for us to run into Americans at all. We have found that the small number of tourists who do visit Tequila are mostly from other parts of Mexico, interested more in the history and culture of the region than imbibing and partying. 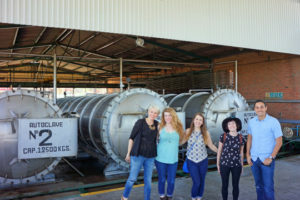 Bone Garden team and José at the Partida Distillery, with the autoclave ovens Partida uses to slow-cook their blue agave piñas. Like most distilleries in the town of Tequila, the entrance to the Partida Distillery is right off the road and almost all open-air. This is a large distillery, built in the 1950s and originally owned by foreign interests in Mexico (Pernod Ricard). José leads us around, discussing each step of their process and how they merge science, technology and traditional production to create their exceptional tequila. As soon as the freshly-harvested agave piñas are unloaded at the distillery, they are cut into twelve equal-sized pieces and placed in Partida’s stainless steel autoclaves (modern steam ovens) to roast. 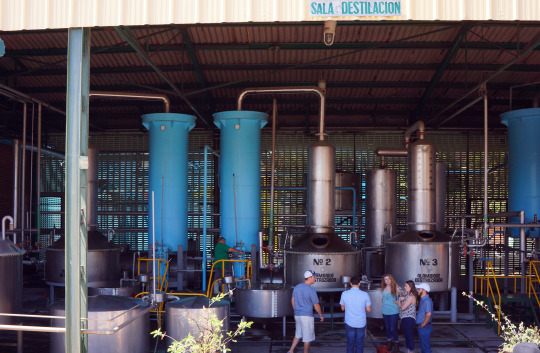 While many tequila producers eschew the use of autoclaves in favor of the more traditional gas-powered masonry ovens, the folks at Partida appreciate the temperature control and even cooking the autoclave offers. Yes, some producers cut corners by using the autoclave to cook piñas quickly at high temperatures – and in doing so create a subpar tequila. But Partida uses the autoclave to slowly roast their piñas over a 24-hour period at a low temperature (95 C). After 18 hours of roasting then four hours of resting inside the sealed ovens, the piñas are removed and placed outside in the fresh air for three hours. To extract the most sugars for fermentation, the cooked piñas are run through a roller-mill while still warm from the oven. The liquids extracted from the roller mill process are placed in large 20,000-liter stainless steel fermentation vats. Partida controls the temperature and length of their open-air fermentation, which happens at very low temperatures for a minimum of two days. The ability to closely monitor fermentation is one of the benefits of using modern stainless steel vats (as opposed to wooden ones), as is the ease with which Partida can clean them between batches. Fermentation is one of the most critical steps in creating the flavor of tequila – and Partida emphasizes a “clean” flavor profile. This is very different than the “smooth” flavors some of the more industrialized producers promote. Smooth just means a neutral tasting spirit with most of the fiery agave flavor removed or underdeveloped. Partida’s “clean” profile keeps the pure, aggressive agave flavor front and center. Partida double distills their tequila in small stainless steel stills equipped with copper coils. They distill in 5-hour cycles at very low temperatures so they can maintain maximum control over the process. Distilling in shorter cycles, using higher temperatures and pressure, would mean less control over their final cuts (the alcohol that makes it into the bottle). Partida’s impeccable production system is about precision, and they definitely do not cut corners here! 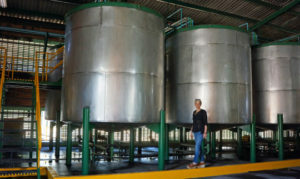 Partida Blanco is bottled after distillation, and here is where you’ll taste their purist expression of the blue agave. When aging their Blanco to craft Reposado (aged 2-12 months), Añejo (aged 1-3 years) and Extra Anejo (aged three years or more) expressions, they’ve adopted strict protocols to ensure the end product meets their high standards. All tequila, by law, is aged in oak barrels. But what type of oak is up to the producer. 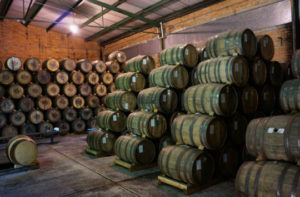 Many tequila companies age their tequilas in used bourbon barrels from the United States as these are the most economical and readily available. 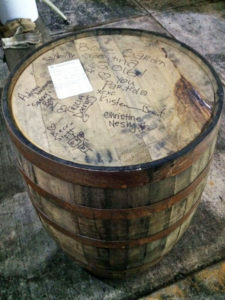 Partida only uses Jack Daniels barrels, and these barrels are shipped to the distillery within ten days of being retired by the whiskey company. When Partida receives the barrels, arriving from Tennesse with a medium toast, they simply wash them with water and use them fresh to retain as much of that Jack Daniels sweetness as possible. They will use the barrel for a maximum of three years, until the Jack Daniels influence is maxed out. Once Partida is finished with a barrel, it will be destroyed or sold and reused by other tequila companies. Now the for the big news: Partida and Bone Garden have partnered on a Single Barrel Reserve!